Babu Joseph Ayindo has two decades of experience as a storyteller, teacher, facilitator, researcher and writer. He has taught short courses in arts-based approaches to peace work in seven peacebuilding institutes in Africa, Asia, the Pacific and North America. He holds an MA in Conflict Transformation from Eastern Mennonite University, USA and a PhD at the University of Otago, New Zealand. 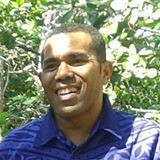 Paulo Baleinakorodawa is the Director and co-founder of Transcend Oceania, a peace organization based in Fiji. Paulo has extensive working experience with government, the security sector, private sector, church and civil society in Fiji, Papua New Guinea, Tonga and elsewhere. Paulo holds an MA in Conflict Transformation from Eastern Mennonite University. Jerry Buckland is Professor of International Development Studies at CMU’s Menno Simons College. His research and teaching areas include research and evaluation methods, financial empowerment community-based development, and rural and Indigenous Peoples’ development. He has more than twenty years of experience in the field and has written numerous books, articles and policy reports. He has been active in payday lending regulation debates in Canada. Fernando Enns is Professor of Theology and Ethics at Vrije Universiteit (Free University) in Amsterdam, Netherlands, and Director of the Institute of Peace Church Theology at the University of Hamburg, Germany. Enns is a member of the Mennonite community of Hamburg and Altona and vice chairperson of the Association of Mennonite Churches in Germany (AMG). Since 1998 he is a member of the Central Committee of the World Council of Churches (WCC) and member of the German Ecumenical Study Committee (DÖSTA). 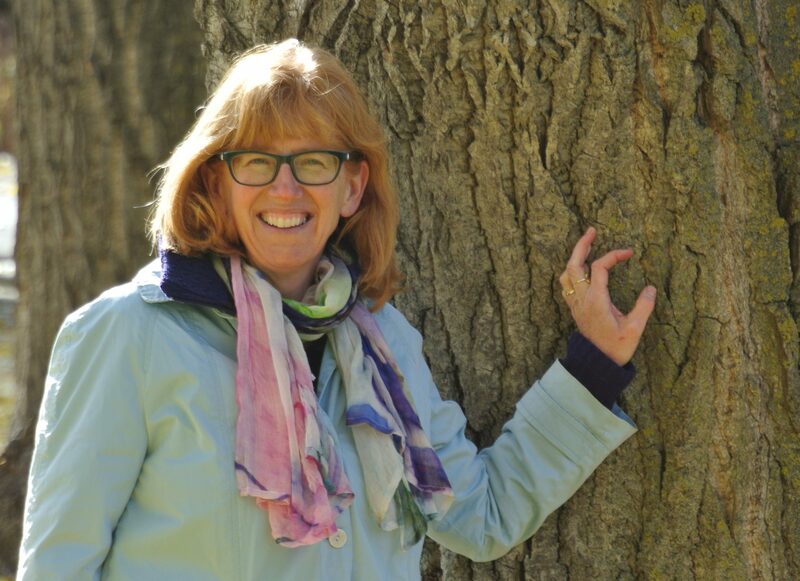 Vicki Enns is the Clinical Director of the CTRI, an Approved Supervisor with the American Association for Marriage and Family Therapy and an instructor at the University of Winnipeg. She is the author or editor of many of CTRI’s training materials, including those on the topics of anxiety, trauma, mindfulness, gender and sexual diversity, ethics and wellness. She believes in a holistic approach to wellness that applies to both clients and helpers. Roger Epp is Professor of Political Science at the University of Alberta. His research and teaching has involved such diverse subjects as the rural west, settler-indigenous relations, higher education, and theory and ethics in international politics. He was an honorary witness at hearings of the Truth and Reconciliation Commission of Canada. In 2015 he held a visiting appointment at the Pontifícia Universidade Católica do Paraná in Curitiba, Brazil. 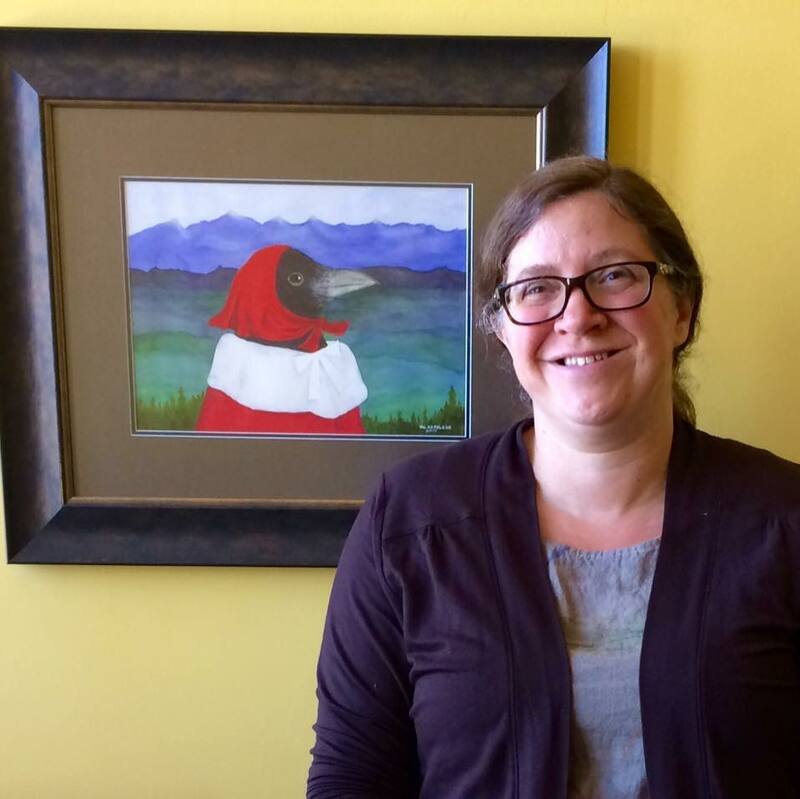 Wendy Kroeker specializes in community conflict transformation processes as an instructor at CMU. She has over 15 years of experience as a community mediator, conflict transformation instructor, consultant, program manager in the Philippines, Bangladesh, Palestine and elsewhere. Wendy is a PhD candidate at the University of Manitoba in Peace and Conflict Studies. 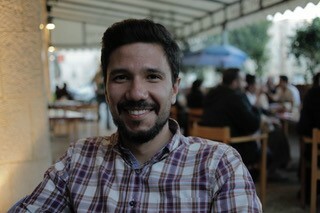 Andrés Pacheco Lozano, a Mennonite from Colombia, has worked with JUSTAPAZ (Mennonite Peace organization) and different faith communities in Colombia on topics such as nonviolence, peacebuilding and reconciliation. Andrés holds a Bachelor in Psychology and a Master in Theology. 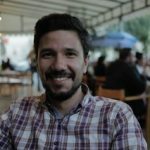 He is currently a PhD Researcher at the Free University Amsterdam (The Netherlands), Student-Assistant of the Amsterdam Center for Religion, Peace and Justice Studies (ACRPJ) affiliated with the Mennonite Seminary of Amsterdam, and Coordinator of the emerging Global Anabaptist Peace Network (Mennonite World Conference). Tabitha Martens is a mixed ancestry Cree researcher, educator, writer and student. She is a PhD student at the University of Manitoba, studying Indigenous Food Sovereignty. She spends much of her time on the land, working with her people, and learning traditional Cree food practices. For her stories of the land are incredibly important. She believes in the reclamation of these traditional ways of being through healing and ceremony. Tabitha works for the University of Manitoba in the Faculty of Social Work, the University of Winnipeg and currently on a project with the National Aboriginal Diabetes Association. Lisa Schirch is a seasoned peacebuilder. She is the North American Research Director for the Toda Institute for Global Peace and Policy Research, Senior Policy Advisor with the Alliance for Peacebuilding, and Research Professor at the Center for Justice and Peacebuilding at Eastern Mennonite University. A former Fulbright Fellow in East and West Africa, Schirch has conducted conflict assessments and participated in peacebuilding planning alongside local colleagues in over 20 countries including Iraq, Indonesia, Kenya, and Fiji. Schirch has published numerous books, chapters and articles. David Balzer was born in Germany, then moved to Ecuador and finally came to Canada as a young adult. This meant that by the time he was serven years old he had learned three languages: German, English and Spanish – in that order. Recording studios and radio towers in Ecuador were part of David’s childhood experience through his parents’ mission broadcasting work. His first radio interview was when he was five years old. Growing up in a broadcast environment led to a natural intrigue with communications. Undergraduate studies in Winnipeg included a Bachelor of Religious Studies at MBBC (a founding college of CMU) and a BA in Administrative Studies at the University of Winnipeg. 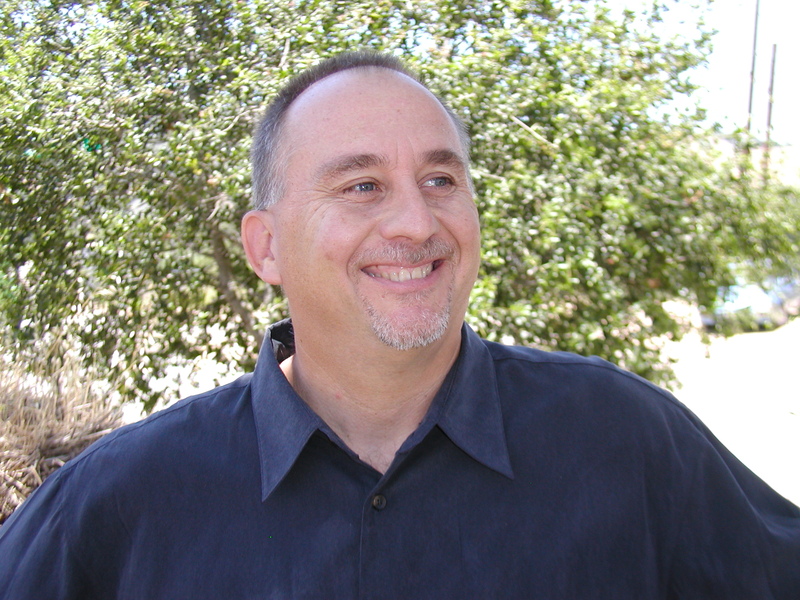 Several years later David completed an MA in Speech Communication at California State University – Fresno and significant work towards an MA in New Testament at Mennonite Brethren Biblical Seminary. Prior to joining CMU, David spent over a decade in broadcast radio in Winnipeg. This included 11 years of weekly co-hosting of the GodTalk radio show on 680 CJOB, Manitoba’s #1 news talk radio station. David also spoke at 100’s of live events across central and western Canada during these years. His passion has always been to creatively engage people in a dignifying conversation about the living God. David joined the CMU faculty in 2009 and was appointed Assistant Professor of Communications and Media in July 2013. David’s teaching areas include media and society, public speaking, new media, communication theory and topics such as Christianity and the mass media in Canada. David’s research includes the production of a documentary film about the use and meaning of “Oh my God” in everyday talk in Canada. Hadley Friedland, LLB, LLM, PhD, is an Assistant Professor at the University of Alberta Faculty of Law. 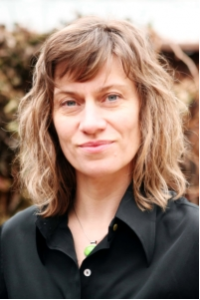 She articled with the Department of Justice, Canada, and was Research Director of the University of Victoria’s Indigenous Law Research Unit from 2012 to 2016. She has worked extensively with Indigenous communities across Canada to identify and revitalize Indigenous laws. She also specializes in experiential community-based training and continuing legal education in this area. Hadley teaches and researches in the areas of Indigenous legal traditions, Aboriginal law, criminal justice, family law, child welfare and therapeutic jurisprudence. Recent publications include articles in the Indigenous Law Journal, the McGill Law Journal and the Oxford Handbook of Criminal Law. Her graduate work has won numerous awards, including a Vanier Scholarship, the SSHRC Impact Talent Award and the Governor General Gold Medal. Her first book, The Wetiko (Windigo) Legal Principles: Cree and Anishinabek Responses to Violence and Victimization, is forthcoming at University of Toronto Press. Harry Huebner graduated from University of Manitoba with a B.A.  in Philosophy/Psychology and an M.A. in Philosophy. He earned his Ph.D. in Theology at the University of St. Michael’s College. 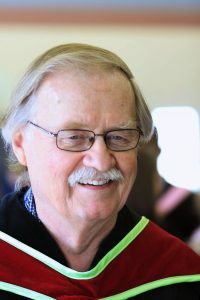 Harry has been teaching at Canadian Mennonite University and its predecessor colleges since 1971. He took one year off to do Ph.D. work in Toronto from 1974-5 and served with Mennonite Central Committee in Jerusalem from 1981-3. Harry was also involved in the founding of Christian Peacemaker Teams. In his spare time Harry enjoys traveling, especially to the Middle East. 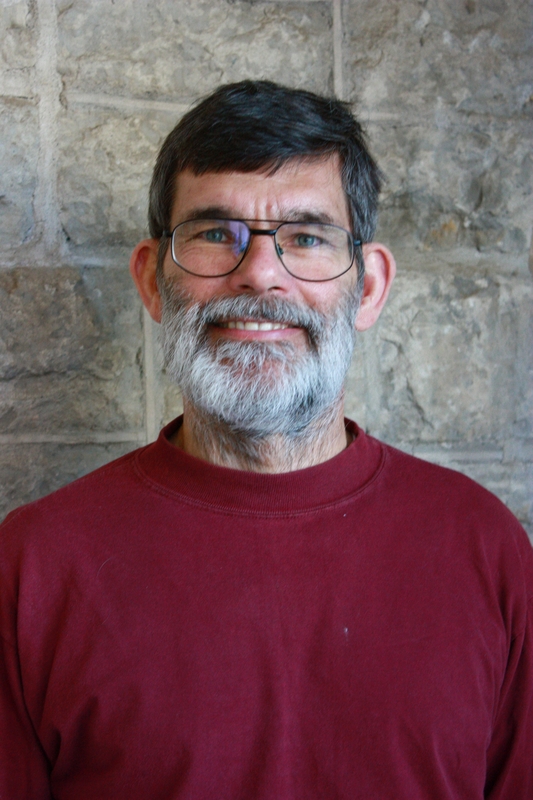 In 2010, Harry taught Mennonite Approaches to Peace and Justice at the Canadian School of Peacebuilding. Odelya Gertel Kraybill has worked as a consultant, trauma specialist and expressive therapist for the UN and NGOs in the US, Europe, Middle East, Africa and Asia. Odelya was a Fulbright scholar and focused on trauma studies in three graduate studies programs. While living and working in the Philippines, Lesotho and Israel, she conducted research on integrated, proactive approaches to stress and trauma, and on strategies for supporting caregivers and populations in vulnerable communities. She currently lives in the Washington DC area, where she uses Expressive Trauma Integration (ETI) approach to provide consultations, training, expressive supervision, therapy and e-therapy. ● Member of UNDP Rapid Roster and Federal Emergency Management Agency roster, 2015 to present. journey of personal transformation and selfcare required by peacebuilding is a theme Kraybill has written and engaged colleagues about for many years. He pioneered a course on the topic at Eastern Mennonite, wrote a book on it, and maintains personal disciplines of exercise, quiet time, and artistic pursuits. Kraybill holds a Masters of Divinity from Harvard University and a PhD from the University of Cape Town in Religion and Society, and wrote his thesis on efforts to end the civil war in Rhodesia/Zimbabwe. He blogs at www.RiverhouseEpress.com/blog. Val Napoleon is a Cree from Saulteau First Nation and an adopted member of the Gitanyow [Gitksan] nation. She is the founding director of the Indigenous Law Research Unit (ILRU), a dedicated academic research centre housed in the Faculty of Law at the University of Victoria. With the ILRU, she partners with Indigenous communities across Canada to substantively articulate and rebuild Indigenous law (e.g., harms and injuries, dispute management, lands and resources, water, and marine management, gender, and justice). 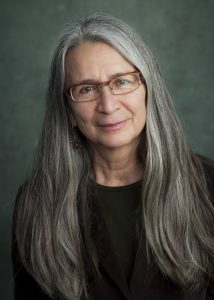 Her doctoral research focused on a substantive articulation of Gitksan law and the development of a Gitksan legal theory. Val was awarded the University of Victoria’s Governor General’s Gold Medal for my dissertation entitled Ayook: Gitksan Law, Legal Order, and Legal Theory. She publishes and teaches in areas of aboriginal legal issues, Indigenous legal traditions and legal theories, indigenous feminisms, oral histories, restorative justice, citizenship, and governance. Carol Penner has worked for over two decades as a pastor, a chaplain, a university lecturer and a freelance writer. She completed her Ph. D. at the Toronto School of Theology and is Assistant Professor of Practical Theology at Conrad Grabel University College. She has a blog of worship resources at www.leadingingworship.com. Mohammad Ali Shomali is the head on the International Institute for Islamic Studies in Qom, Iran. He is also the current Director of the Islamic Centre of England. 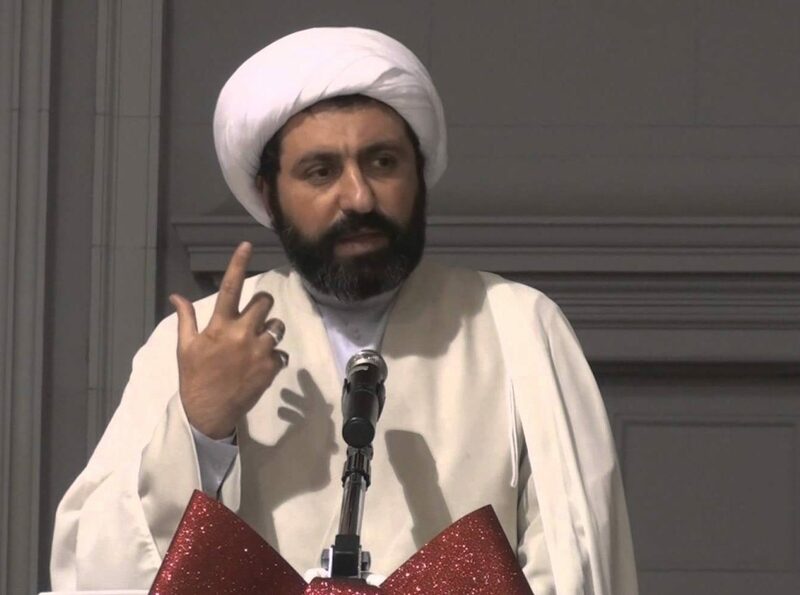 He studied at the Tehran University and in the Seminaries in Qom. He received his PhD from Manchester University in UK. He is very interested in interreligious dialogue and has organized or attended conferences in Canada, USA, UK, Poland, Sweden, Ghana, Philippines, Georgia, Italy, Austria, Kazakhstan, etc. 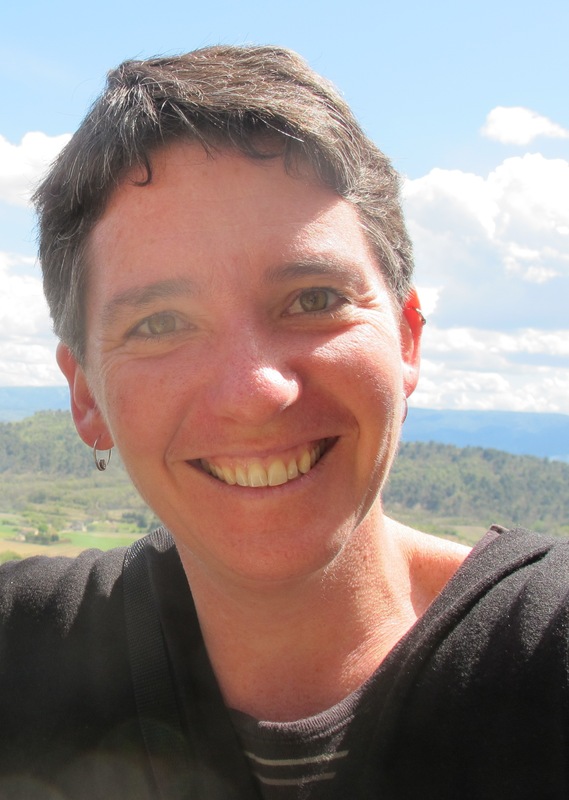 Stephanie Phetsamay Stobbe is an Associate Professor in Conflict Resolution Studies at Menno Simons College (a college of Canadian Mennonite University), affiliated with the University of Winnipeg. 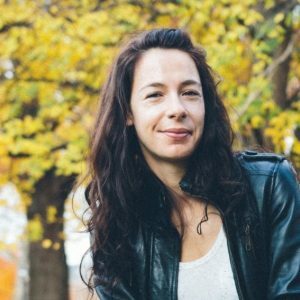 As an active educator, trainer, and Alternative Dispute Resolution (ADR) practitioner with a PhD in Peace and Conflict Studies, she has presented, worked, and conducted research in Canada, United States, South America, Europe, India, and Southeast Asia. 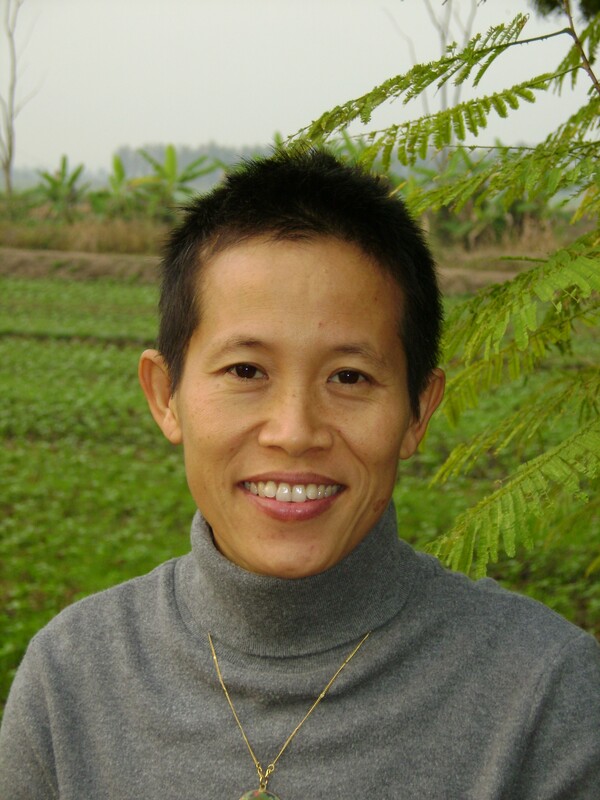 In 2006, she was invited to work with local citizens in the development of the first peace program in Laos, leading to a full research project on traditional mediation and conflict resolution rituals between 2007 and 2011. In 2013, she co-facilitated a series of seminars and workshops for political leaders in Myanmar (Burma) on institutional designs in conflict resolution, peacebuilding, and reconciliation as the country transitions to democratic governance. In 2011 Stephanie co-edited a book, Critical Aspects of Gender in Conflict Resolution, Peacebuilding, and Social Movements (2011) for Emerald Publishing series on Research in Social Movements, Conflicts and Change. Although not a lawyer, in 2012 she was invited to join the American Bar Association team of experts to discuss “Gender-Responsive Peacebuilding: Implementing the Secretary-General’s Report on Women’s Participation in Peacebuilding,” and provide recommendations to the United Nations Development Programme, Peacebuilding Support Office as they address UN Security CouncilResolutions 1325 and 1889. In that same year, she also served as a VisitingProfessor/Researcher at the Matsunaga Institute for Peace and Conflict Resolution at the University of Hawaii. 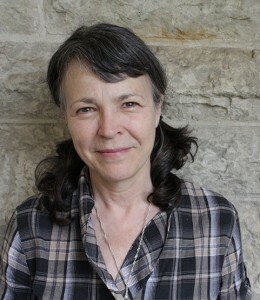 Her current research projects include Experiences of Professional Immigrants in Canada’s Labour Market: A Study of the Past 25 Years; and A History of Refugee Families in Manitoba and Abroad: Intergenerational Oral History, Digital Storytelling, and Conflict Resolution Among Refugees in the Diaspora Since the 1970s. Stephanie’s new book, Conflict Resolution and Peacebuilding in Laos: Perspective for Today’s World, was released in July 2015. Judie is a co-founder and director of the Four Worlds Centre for Development Learning. 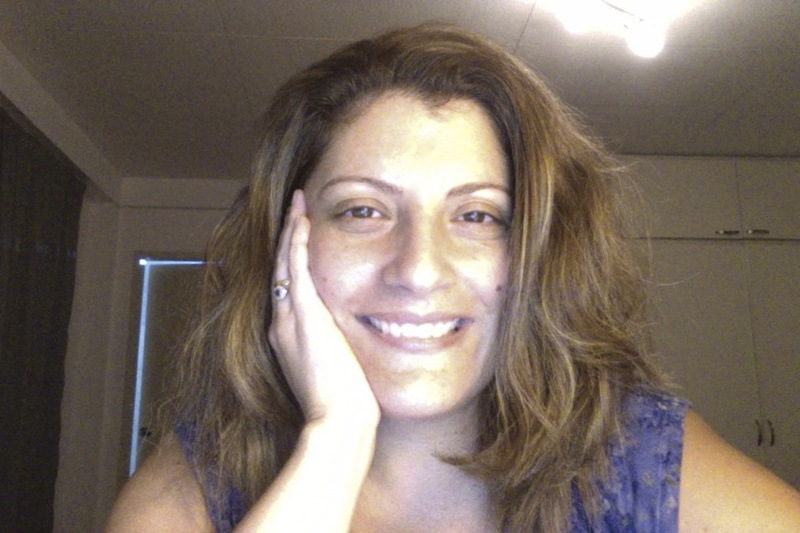 She holds a Masters degree in Multicultural Education and a Doctorate in Organizational Development and has provided training, technical support and evaluation services related to program development and organizational change to many different types of groups, ranging from the ministries of national governments to small non-governmental organizations. She has worked in Asia, the South Pacific, Africa, the former Soviet Union, the Caribbean and Indigenous North America. She has also provided technical support to many Canadian and American professional organizations and Indigenous communities. Judie’s publications include a basic text on community development entitled “Recreating the World: a practical guide to building sustainable communities”, “Aboriginal Domestic Violence in Canada”, and “Mapping the Healing Journey”. She has worked in Canada’s North since 2006 on issues related to women’s homelessness and mental health. She is also currently working with village leaders in northern Pakistan to build sustainable solutions to their economic and social development challenges. With a Masters degree in Community Development and a Doctorate in Education for Development, Michael is a co-founder of the Four Worlds Centre for Development Learning, and has more that thirty years of experience in grassroots training, in facilitating participatory development, and in helping organizations to become more effective in human and community development processes. He has lived and worked in Africa, the South Pacific, the Former Soviet Union, Latin America, the Caribbean, and in tribal communities across North America. Michael has written and published extensively on personal transformation and community development related issues. His publication list includes a National research study on Aboriginal community healing and recovery from residential school trauma, and a book on community development. Four Worlds is well known for its ability to bridge indigenous cultural perspectives with mainstream development agencies and resources, and to facilitate participatory action research processes. Currently, Michael is coordinating the development and launching of a virtual college to bring accredited training, related to human and community development directly to communities and the people who work with them. Fully accredited training programs are being offered in Canadian Aboriginal communities, and Four Worlds is currently involved in developing and delivering training for community development leaders in northern Pakistan, as well as in guiding comprehensive community planning in several Canadian Aboriginal communities. 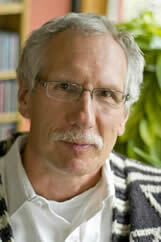 Dan Epp-Tiessen is Associate Professor of Bible at Canadian Mennonite Universtiy where he has taught since 1998. Dan has also worked as a pastor, and from 1982–86 he served with Mennonite Central Committee in the Philippines, in a rural area beset by land-grabbing, human rights violations, and civil war. His current teaching and research interests include Old Testament prophecy, apocalyptic literature, Pentateuch, and preaching, with particular focus on how biblical materials intersect with contemporary issues of peace and justice, personal healing, creation care, consumerism, and resistance to forces of empire. Dan is a frequent speaker in churches on issues related to grief and loss, and recently helped teach a course at the Africa Peacebuilding Institute in Johannesburg, South Africa on Anabaptist perspectives on peace and justice. Dan holds an MA from the University of Manitoba and a PhD from the University of St. Michael’s College in Toronto. Al Fuertes was a recipient of the 2015 Spirit of King Award, the 2014 Oscar Mentoring Excellence Award, the 2008 George Mason University Teaching Excellence Award and the 2001 AT&T Asia-Pacific Leadership Award. Al is a field practitioner and consultant who specializes in psychosocial trauma healing as an integral component in peacebuilding and conflict transformation. He travels extensively around the world, particularly in places affected by war, armed conflict, and natural disaster. Al works with government, religious, military, and community leaders, as well as NGO development workers, school administrators, teachers, youth, refugees and internally displaced persons. He is the faculty director of the global education program in the Philippines, a summer course in Human Trafficking, Environmental Issues, and Grassroots Peacebuilding through Mason's Center for Global Education (CGE), and in Cambodia, a course in Post Genocide, Community Development, and Spirituality through the Social Action and Integrative Learning (SAIL). 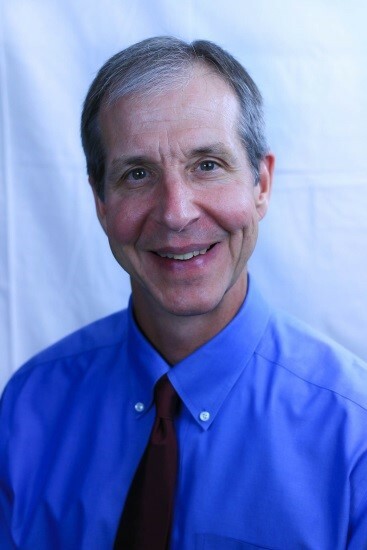 Al obtained his Ph.D. in Conflict Analysis and Resolution, specializing in psychosocial trauma from the School for Conflict Analysis and Resolution (S-CAR), George Mason University, and a Master’s degree in Peace Studies from the Associated Mennonite Biblical Seminary. Natasha Mohammed has a background in International Peace and Conflict Resolution Studies. In addition to serving as a community counsellor, mediator, group facilitator and Victim Impact Worker, Natasha has taught conflict resolution skills and theory in government, community and university contexts for the past 18 years. She has also worked with participatory processes to create various learning programs, including diversity and youth violence prevention-based curricula. Natasha has a special interest in conflict and culture. 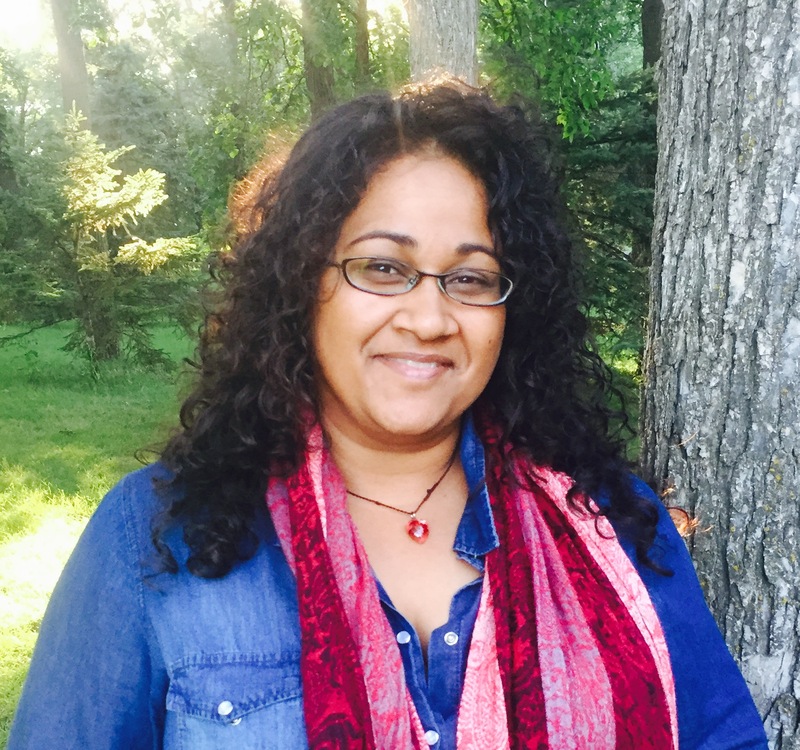 She is a founding member of Winnipeg Mosaic, a collective of local peacemakers who foster understanding of the role of religion and culture in life and conflict. Through her work in the federal Multiculturalism Program she is able to support the voices of both mainstream and marginalized communities in ways that ultimately facilitate their development and inclusion into Canadian society. For Natasha, relationship is the key to peace in the world, your community, your family and yourself. Dessa Quesada-Palm is a theatre artist, educator, and advocate from the Philippines. 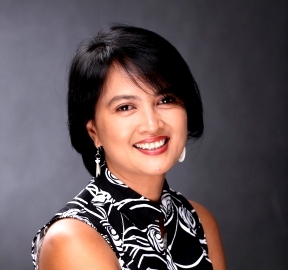 A senior artist-teacher of the Philippine Educational Theatre Association (PETA), Dessa relocated to Dumaguete City in 2004 and subsequently organized the Youth Advocates Through Theatre Arts (YATTA) in 2005. Though deeply engaged in the arts since in her teens, her academic background is rooted in the social sciences. She finished Economics at the University of the Philippines and her masters in International Relations at the New School for Social Research in New York City. She has facilitated trainings in theatre but also on gender issues, peace building, positive discipline, children’s rights, and resiliency among others. Her advocacies include curbing gender-based violence, children’s and young people’s rights, and peacebuilding. Niigaanwewidam James Sinclair is Anishinaabe (St. Peter's/Little Peguis) and an Associate Professor in the Department of Native Studies at the University of Manitoba. He is a regular commentator on Indigenous issues nationally on CTV, CBC, and APTN and internationally in The Guardian and Al-Jazeera America. His written work can be found in the pages of The Exile Edition of Native Canadian Fiction and Drama, newspapers like The Globe and Mail and The Winnipeg Free Press, and online with CBC Books: Canada Writes. Niigaan is the co-editor of the award-winning Manitowapow: Aboriginal Writings from the Land of Water (Highwater Press, 2011) Centering Anishinaabeg Studies: Understanding the World Through Stories (Michigan State University Press, 2013) and The Winter We Danced: The Past, the Future, and the Idle No More Movement (Arbeiter Ring, 2014). He is also the Editorial Director of The Debwe Series with Portage and Main Press. Daniel Christie's work focuses on the contributions of psychology to peace and social justice (peace psychology). He is committed to growing the field of peace psychology through research, writing, teaching and training. He was Professor of Psychology at Ohio State University from 1975 to 2006 and he is the founder and Series Editor of the Peace Psychology Book Series (Springer – SBM), which has more than 20 books. He is also the editor of The Encyclopedia of Peace Psychology, a three-volume set (Wiley-Blackwell, 2012). 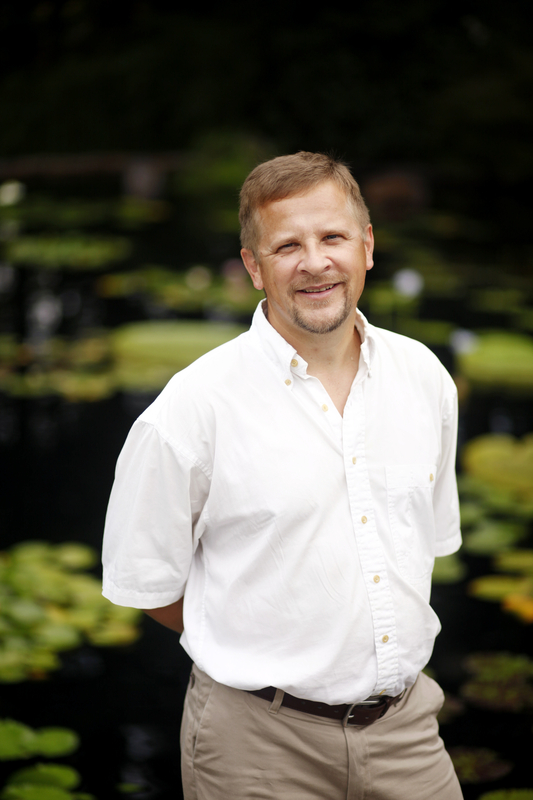 Daniel is widely published in the field and, as a Fulbright Specialist, he facilitates the development of Peace and Conflict Studies programs especially in South and Southeast Asia. Clint Curle is presently Head of Stakeholder Relations at the Canadian Museum for Human Rights in Winnipeg, Manitoba. Before joining the Museum in 2010 as a researcher on international human rights and genocide, Clint was, in turns, a university professor, director of an international development NGO, and a parish pastor. His educational background includes a PhD in political science, Masters degrees in law and theology, and an LLB. Brigette is a community organizer and writer. She’s been active in the youth environmental justice movement for five years, including service as a volunteer regional organizer with the Canadian Youth Climate Coalition (CYCC), and by helping to organize PowerShift Canada convergences and actions. She has worked with the youth network SHD.ca and the Canadian Centre for Policy Alternatives. She edited a book on youth activism, and studied Organizing Leadership and Social Change through the Harvard Kennedy School. Originally from Winnipeg and now living in Vancouver, she likes playing basketball, bike riding, and writing poetry. Ouyporn Khuankaew is a Buddhist, feminist, peace trainer who has been working with activists in South and Southeast Asia since 1995. She incorporates Buddhist practice, feminism, and non-violence in all of her work. In 2002 Ouyporn co-founded International Women’s Partnership for Peace and Justice (IWP) which runs its own center and works with activists in Burma, India, Sri Lanka and Thailand. IWP training uses anti-oppression feminism, non violent action and spirituality as a foundation for activists and activism. The training topics include Buddhist peace building, nonviolent action, counseling for trauma survivors, leadership for social change, gender and sexuality, feminism and Buddhism for change, and meditation retreats for activists. She leads an annual international meditation retreat for people exploring Buddhist spirituality as a path to sustain their life and activism. Leroy Little Bear is a member of the Blood Tribe of the Blackfoot Confederacy. 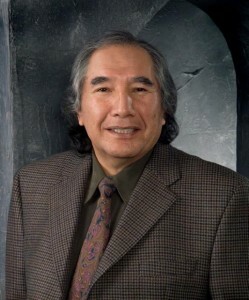 He is one of this continent's leaders in the advancement of North American Indian philosophy and he is an author, educator and the founding Director of the American Indian Program at Harvard University and professor emeritus of Native Studies at the University of Lethbridge, where he was department chair for 25 years. He has served as a legal and constitutional advisor to the Assembly of First Nations and has served on many influential committees, commissions, and boards dealing with First Nations issues. Mr. Little Bear has authored many articles including "A concept of Native Title" which has been cited in a Canadian Supreme Court decision. Chris Marshall is the Professor of Restorative Justice at Victoria University of Wellington, New Zealand. Prior to taking up this post in January 2014, he was the St John’s Professor of Christian Theology and Head of the School of Art History, Classics and Religious Studies at Victoria University. Chris has served as a conference speaker and lecturer around the world. 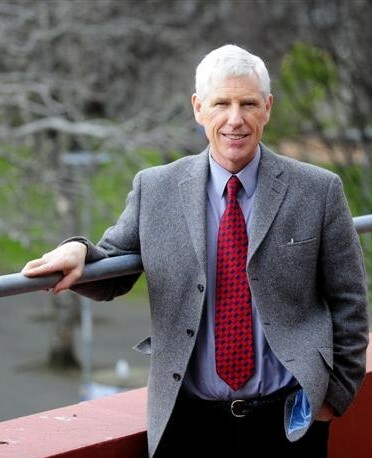 In 2008 he received an award for Sustained Excellence in Teaching at Victoria University, and in 2009 won a National Tertiary Teaching Excellence Award. He is author of seven books and over one hundred articles and chapters on biblical and ethical themes, many of which deal with restorative justice issues. He is also a trained and accredited restorative justice facilitator and in 2004 received the International Community Justice Award from the Home Office in Britain. Richard McCutcheon is Associate Professor in the Department of Law and Politics at Algoma University in Sault Saint Marie, Ontario. 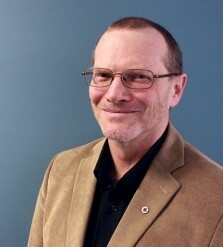 He has blended service work and activist organizing with his university work for over thirty years, working as coordinator of Canadian Quaker service work, as a Mennonite Central Committee field representative to the Middle East, and as a current board member of Mediation Services, a non-profit organization committed to alternative forms of conflict resolution. As an activist Rick is committed to nonviolent social movements, and has been arrested on numerous occasions in solidarity actions. Rick is passionate about his teaching in peace and conflict studies. He has published formal and informal articles and papers, book chapters, and working papers on issues related to peace, nonviolence, conflict, violence, and war, with a special interest in the case of Iraq. He holds a PhD in Anthropology and MA in Religious Studies from McMaster University; his honours BA – completed oh-so-long-ago – was in Religious Studies and Sociology at Brandon University. Prior to starting his work at Algoma University, Rick taught at Menno Simons College, a College of Canadian Mennonite University, located on the campus of and affiliated with the University of Winnipeg. Rick believes deeply that the work done by the Canadian School of Peacebuilding is foundational for creating more just and peaceful communities. Ginger is a feminist activist from the US who has lived in Thailand since 1997. In 2002, drawing on her Engaged Buddhist roots, Ginger co-founded International Women’s Partnership for Peace and Justice (IWP) which runs its own center and works with activists in Burma, India, Sri Lanka and Thailand. Ginger organizes and facilitates IWP’s regional and international workshops for grassroots community activists on anti-oppression feminism, integrated security and well-being, collective leadership, gender and diversity, nonviolent direct action, and peacebuilding. Prior to IWP, Ginger worked on the Thai-Burma border with Burma refugees and women’s organizations and continues as an ally to the Burma movements for democracy. 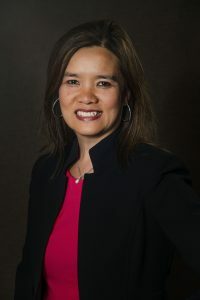 Karen Ridd is a dynamic educator, facilitator and speaker with experience throughout North America and overseas, including El Salvador, Guatemala, Colombia, Thailand and Cambodia. Karen is presently a sessional instructor in the Conflict Resolution Studies department of the University of Winnipeg, an associate of Training for Change in Philadelphia as well as an associate trainer for Resolution Skills Centre. Karen holds a Bachelor of Arts (1984), a Master of Arts in Peace and Justice (2009), a Diploma in Mediation Skills, and has been working and studying in the field of conflict resolution since 1986. Karen began her affiliation with Mediation Services in 1995, when she became the Training Coordinator, responsible for carrying out and developing trainings, as well as overseeing the program as a whole. Karen presently lives in rural Manitoba, and is the delighted mother of Ben and Daniel. She has received numerous honours for her work, including the 1992 Government of Canada 125th Anniversary of Canadian Confederation Governor-General’s Award, the 1990 Canada YM/YWCA Peace Medal and the 1989 Manitoba International Human Rights Achievement Award. Click here to see a video of Karen Ridd. Alana Abramson holds a Master's degree in Criminology from Simon Fraser University and is completing her PhD on the topic of transformational learning and restorative justice. 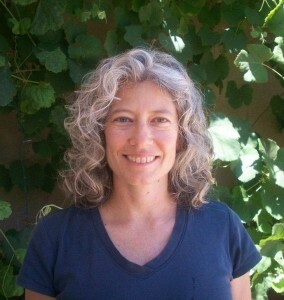 Alana has been an energetic practitioner and educator in the field of restorative justice since 1999. Alana has background with crisis intervention as well as extensive practical experience training to facilitate restorative approaches in prison, school, and community settings. She has been a sessional instructor with Kwantlen Polytechnic University, Douglas College and Simon Fraser University and has worked with various policing agencies to promote more restorative responses for community members including youth and people with disabilities. 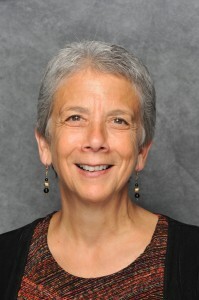 Elaine Zook Barge is the Director of STAR: Strategies for Trauma Awareness and Resilience, an integrated training program of the Center for Justice and Peacebuilding. During the 1980s and 1990s she worked in El Salvador, Nicaragua and Guatemala with Mennonite Central Committee. In her work with communities in conflict zones, Elaine experienced firsthand violence, conflict, poverty, and resilience. She facilitates STAR trainings at Eastern Mennonite University, throughout the US, and in Africa, Asia, the Caribbean and Latin America. She holds an MA in conflict transformation from Eastern Mennonite University’s Center for Justice and Peacebuilding and a Bachelor of Science in nutrition/community development from Eastern Mennonite University. Patti Fraser (PhD) is an artist whose community engaged practice focuses on narrative and story to disrupt the impenetrable veil that often sees a crisis in stereotypical terms. Currently, she is co-artistic director of The Housing Matters Media Project, a youth-engaged media project formed to respond to housing justice issues. As a founding member of the nationally recognized Summer Visions Film Institute for Youth, Fraser has mentored a generation in Vancouver’s east side in engaged citizenship and media making. In 1986, she started working with Headlines Theatre. Fraser worked with Youthco AIDS Society, the World AIDS Group, and many other organizations on theatre and education projects. Her work with BCDC and the Aboriginal Outreach Program has been recognized for best practices in health education. She was a founding member of the Leaky Heaven Circus and a resident artist in the Arts, Health, and Seniors Project. Fraser has written and performed for the theatre, national radio, and film. Her work aims to advance arts-based research methods and public engagement in social justice research projects. Terry LeBlanc is Mi’kmaq / Acadian, resides in Alberta, and is in his 41st year of marriage to Bev. He is the father of Jennifer, Jeanine, and Matt. 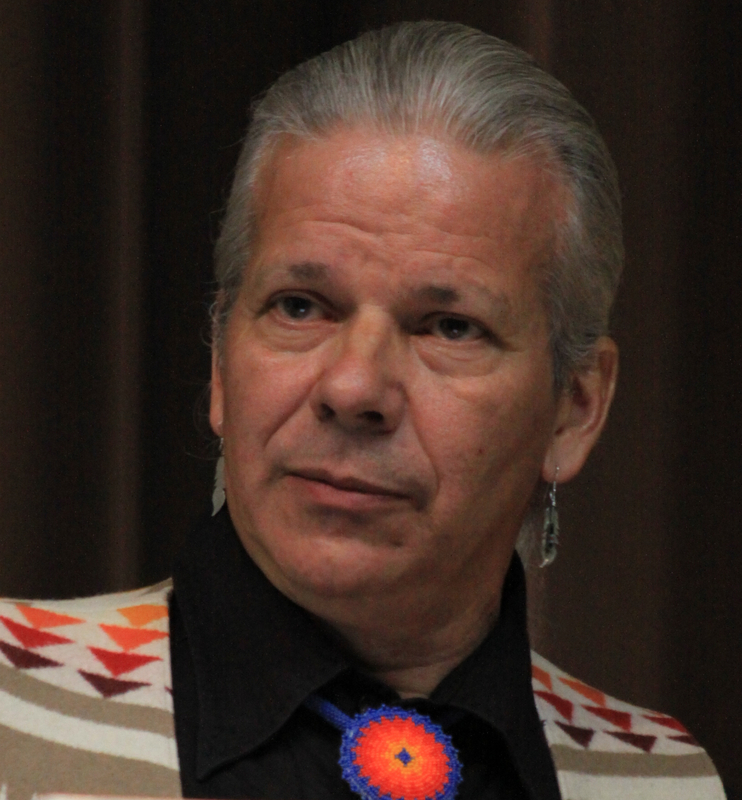 He is the founding Chair and Director of the North American Institute for Indigenous Theological Studies (NAIITS). Terry also teaches at George Fox University and Evangelical Seminary, and Tyndale University College and Seminary. 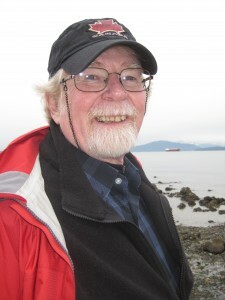 Author of various works, Terry has won several awards for his writing. In June 2010, for his part in the creation of NAIITS, Terry became the 28th recipient of the Dr. E.H. Johnson Memorial Award for Innovation in Mission. Vernon Jantzi’s expertise went beyond his home base of the sociology and social work department to EMU’s Center for Justice & Peacebuilding, which he helped establish in the mid-1990s and served as director for seven years. He also taught courses in language, religion, business and history. He has extensive experience in international development, particularly in dealing with conflicts generated by the developmental process and those related to natural resources. His doctoral studies were in the sociology of development with concentrations in linguistics and Latin American studies. 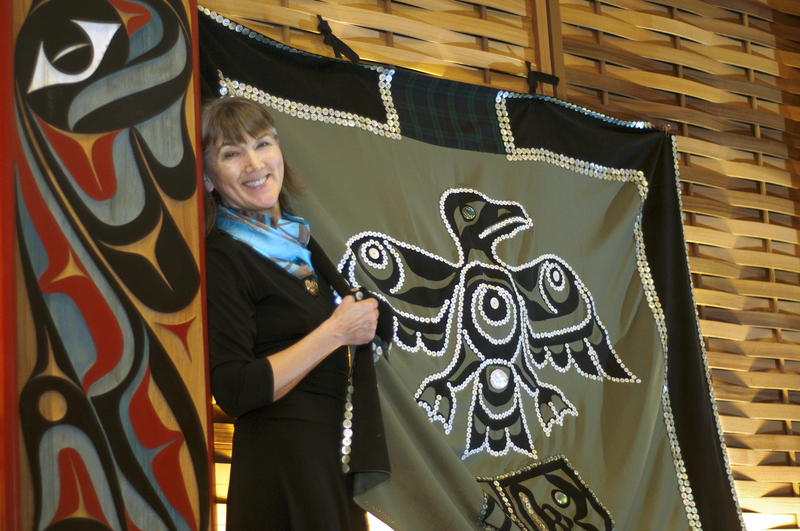 Maxine Matilpi, J.D., LL.M., is a member of the Ma’amtigila and Kwakiutl First Nations. A former practicing lawyer and chief negotiator for the Kwakiutl First Nation in the BC Treaty Commission Process, she teaches First Nations Studies at Vancouver Island University in Snuneymuxw Territory. Her research interests are Indigenous Law and Indigenous Pedagogy. She is also an artist, a Certified Laughter Yoga leader, and serves as Elder-in-Residence at North Island College in Lewquiltok Territory. As Assistant Crown Attorney for the District of Kenora for more than 20 years, Rupert Ross was responsible for criminal prosecutions on over 20 remote Ojibway and Cree First Nations. Between 1992 and 1995, he was seconded to the federal Aboriginal Justice Directorate where he travelled across Canada examining Aboriginal approaches to justice with special emphasis on healing programs for victims, offenders, families, and communities.He wrote two national best-selling books about his journey which radically reshaped the field of restorative justice: Dancing with a Ghost and Return to the Teachings: Exploring Aboriginal Justice. Prior to becoming a lawyer, Rupert worked as a fishing guide in northwestern Ontario, an assistant film editor in Ottawa, a road manager for a Toronto rock band, a bartender in Spain, and a ski instructor in Minaki, Ontario. John R. Wiens recently retired as Dean of Education at the University of Manitoba. He has strong links to the education community not only in Manitoba, but across Canada. He has worked as a teacher, counsellor, work education coordinator, principal, school superintendent and university lecturer. 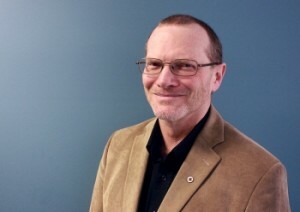 John is an active educational leader and has served as president of the Manitoba Teacher's Society, the Canadian Education Association, the Manitoba Research Council, and the Manitoba Educators for Social Responsibility. He also spent a number of years as the chair of the Universities’ Grants Commission and as the director of the Canadian Teachers’ Federation, the Board of Teacher Education and Certification, and the Manitoba Association of School Superintendents. A few of John’s awards and achievements include: the John M. Brown Award for contributions to teacher education (1998), an honourary doctorate from Brandon University (2000), life memberships in the Manitoba Teachers’ Society, the Manitoba Association of School Superintendents, and the Canadian Education Association (2002), and the Manitoba Association of School Trustees President’s Council Award (2007). He has also been awarded the Queen’s Golden Jubilee Commemorative Medal (2002) for service in education. Norman Wirzba is Professor of Theology and Ecology at Duke Divinity School and Research Professor in Duke’s Nicholas School of the Environment. His academic training is in philosophy and theology, but his background in farming in southern Alberta has led him to research in agrarian studies and ecology. He teaches and writes at the intersection of these disciplines, and has published numerous books including The Paradise of God: Renewing Religion in an Ecological Age, Living the Sabbath, Food and Faith: A Theology of Eating, and Making Peace with the Land. Mubarak Awad is the founder of the National Youth Advocate Program in different locations in United States, which provides alternative foster care and counseling to "at risk" youth and their families. He is also the Founder of the Palestinian Center for the Study of Nonviolence in Jerusalem, Palestine, and was deported by the Israeli Supreme Court in 1988 after being jailed for organizing activities involving nonviolent civil disobedience. Mubarak has since formed Nonviolence International, which promotes peace education and nonviolent action in dealing with political and social issues and works with various movements and organizations across the globe. He has also been an adjunct professor at the American University in Washington, DC USA since 1989 at the School of International Studies focusing on promoting dialogue and transforming post-conflict societies and teaching graduate courses on Methods and Theory of Nonviolence. Mubarak was born in Jerusalem, Palestine and currently resides in Gaithersburg MD, USA. Elaine has been working in the field of restorative justice and conflict transformation since 1989 as a victim-offender dialogue facilitator, consultant, educator and trainer. She provides mediation and consultation services for individuals, churches, schools, community organizations, and businesses, and travels throughout North America teaching and training. Elaine teaches part time at the Peace and Justice Academy of Pasadena, CA and is a co-founder of the Word and World School for faith based activists. Born and raised in Saskatoon, Saskatchewan, she currently lives in Oak View, California, where she serves as the Program Director for the Restorative Justice Program with Bartimaeus Cooperative Ministries (BCM). Elaine holds an M.A. in Theology and Peacemaking from the Mennonite Brethren Biblical Seminary in Fresno and a Bachelor of Church Music from Canadian Mennonite Bible College. 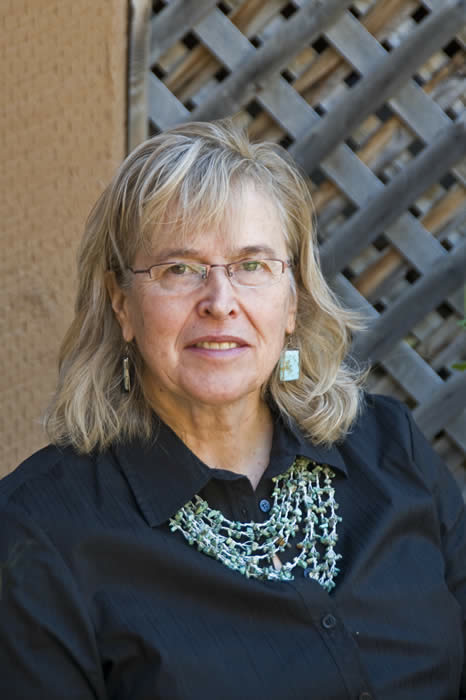 From 1995 to 1999, Elaine served as faculty at the Center for Peacemaking and Conflict Studies, Fresno Pacific University, Fresno. Her most recent publication is Ambassadors of Reconciliation: A New Testament Theology and Diverse Christian Practices of Restorative Justice and Peacemaking with Ched Myers (Orbis Books, 2009). Elaine enjoys intensive food and native plant cultivation and food preservation, singing in a community chorus and exploring the environmental issues facing the Ventura Watershed. She and her partner, Ched Myers, coordinate the work of BCM and often speak together on issues of restorative justice, ecojustice, peacemaking, Anabaptism, radical discipleship and Sabbath Economics. Ched Myers is an activist theologian who has worked in social change movements for 35 years. With a degree in New Testament Studies, he is a popular educator who animates scripture and issues of faith-based peace and justice. 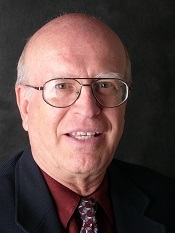 He has authored over 100 articles and more than a half-dozen books, including Binding the Strong Man: A Political Reading of Mark’s Story of Jesus (Orbis, 1988/2008); The Biblical Vision of Sabbath Economics (Tell the Word, 2001), Ambassadors of Reconciliation: A New Testament Theology and Diverse Christian Practices of Restorative Justice and Peacemaking (with Elaine Enns, Orbis, 2009), and most recently, Our God is Undocumented: Biblical Faith and Immigrant Justice (Orbis, 2012). Most of Ched’s publications can be found at www.ChedMyers.org. 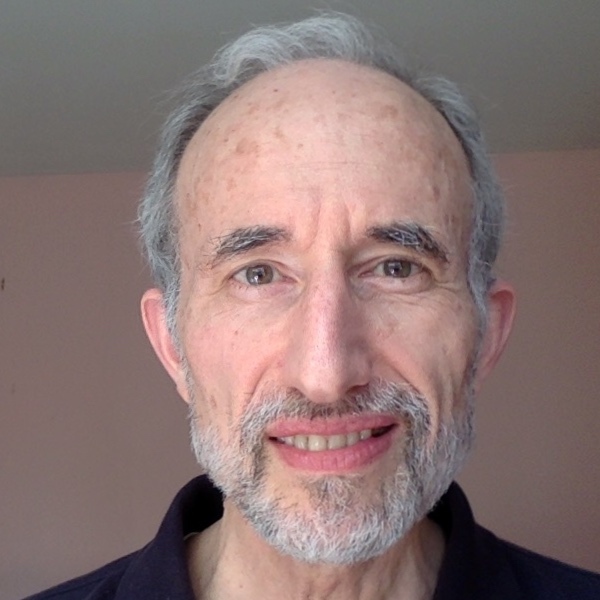 Ched is a co-founder of the Word and World School (www.wordandworld.org), the Sabbath Economics Collaborative (www.sabbatheconomics.org), and the Center and Library for the Bible and Social Justice (http://clbsj.org/). He and his partner Elaine Enns, a restorative justice practitioner, live in the Ventura River watershed in southern California and work with Bartimaeus Cooperative Ministries (www.bcm-net.org). 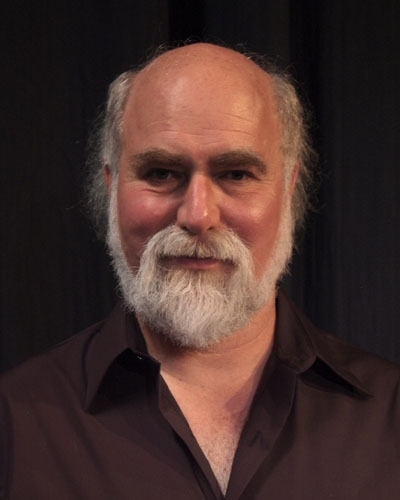 Armand Volkas is a psychotherapist, drama therapist and theatre director. 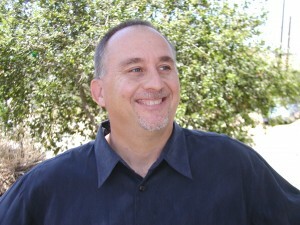 He is clinical director of the Living Arts Counseling Center in Oakland, California. He is also associate professor in the Counseling Psychology Program at California Institute of Integral Studies and adjunct professor at John F. Kennedy University and Institute for Transpersonal Studies. 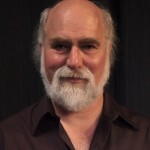 Volkas, the son of Auschwitz survivors and resistance fighters from World War II, created Healing the Wounds of History, a therapeutic approach in which theatre techniques are used to work with groups of participants from two cultures with a common legacy of violent conflict and historical trauma. He was moved by his personal struggle to address the issues that arose from his own legacy, including victimization and perpetration, identity, meaning and grief. Healing the Wounds of History has received international recognition for its work in bringing together groups in conflict: Descendants of Holocaust survivors and The Third Reich; Palestinians and Israelis; Japanese, Chinese and Koreans on their legacy of WWII; Armenians and Turks on the legacy of genocide; African-Americans and European-Americans on the legacy of slavery; Tamil and Singhalese in the aftermath of the Sri Lankan Civil War and between the factions involved in the Lebanese Civil War. Volkas is also Artistic Director of The Living Arts Playback Theatre Ensemble, which is now in its 23rd year of existence. Playback Theatre transforms personal stories into improvised theatre pieces. At the heart of Armand’s work is a profound respect for the power of personal story to build bridges between people and cultures. Volkas has an MFA in Theatre/Acting from the University of California, Los Angeles, an MA in Clinical Psychology/Drama Therapy from Antioch University. He is also a registered drama therapist and a board certified trainer with the National Association for Drama Therapy. 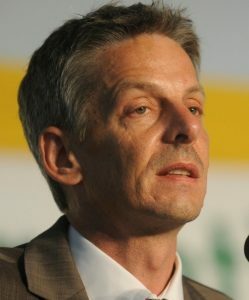 Stuart Clark has spent over 30 years working on issues related to food as a lecturer in food technology in New Zealand, an agricultural development worker in Bangladesh, Nepal and Ethiopia, a farm worker in Canada and the founder of the public policy unit at the Canadian Foodgrains Bank. Over the past decade he has led successful public policy advocacy campaigns to untie Canadian food aid and to make food security one of Canada’s top international assistance priorities as well as unsuccessful campaigns regarding agricultural trade rules at the WTO, the Human Right to Food in Canadian foreign policy and the creation of international food reserves to reduce international food price volatility. Click here to hear an interview with Stuart Clark. Ivo Markovic is a Bosnian Franciscan, a musician and a professor of pastoral theology at Sarajevo University. He is a peace activist who moves easily and intentionally across the boundaries that divide people. Ivo began his work as a peace activist during the 1991-1995 war in the Balkans. Even as his father and other family members were killed in the war, Ivo worked for peace in his own village and throughout the region. Shortly after the war, Ivo founded the Inter-Religious Service "Face to Face" to encourage dialogue and reconciliation among the religious groups within Bosnia. One of the most successful initiatives of Face to Face is the inter-religious choir, Pontanima, comprised of people from the national and religious communities in Sarajevo. Instead of fighting each other, the choir chose to sing together the symphony of Abrahamic religions. In 1998, Marković was awarded Tanenbaum’s prestigious Peacemaker in Action Award for this work. Ovide Mercredi is the former Chancellor of the University College of the North. He is a Cree, a lawyer, a negotiator, an author, a lecturer in Native Studies, and an activist on behalf of First Nations in Canada. He was a sessional adjunct professor on Aboriginal peoples at the University of Sudbury, the University of Lethbridge, and McMaster University. Mercredi held the position of National Chief of the Assembly of First Nations from 1991 to 1997. Among Chief Mercredi’s many honours and awards are the Order of Manitoba, nomination for the Gandhi Peace Prize, and honorary law degrees from Bishop’s University, St. Mary’s University, and Lethbridge University. Click here to see a video of Ovide Mercredi. Sophia Murphy is a political economist with twenty years experience working on food security, agricultural trade, and development issues. She works as an independent consultant and as senior adviser on trade and global governance issues for the Institute for Agriculture and Trade Policy in Minneapolis. 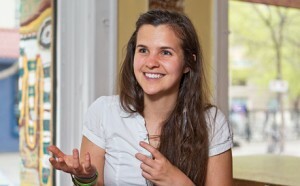 Sophia has worked in public policy at local, national, and multilateral levels. She has published extensively and has lectured at a number of universities. She previously worked for the United Nations in Geneva and the Canadian Council for International Co-operation in Ottawa. 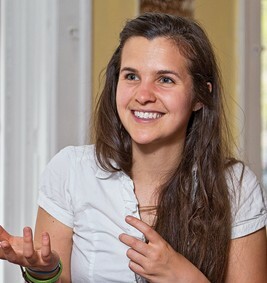 Sophia has a degree in Politics, Philosophy and Economics from Oxford University and a Master's with distinction in Social Policy and Planning in Developing Countries from the London School of Economics. She is bilingual in English and French. 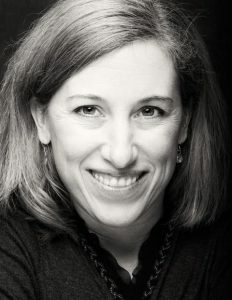 Anna Snyder is Associate Professor of Conflict Resolution Studies at Canadian Mennonite University’s Menno Simons College located at the University of Winnipeg. Her research interests include women's peace organizations, women refugees and peacebuilding, and conflict among peacemakers. She has published several articles on her research, as well as Setting the Agenda for Global Peace: Conflict and Consensus Building (2003), the first book in "Ashgate's Series on Gender in a Global/Local World". Her most recent research, funded by the International Development Research Centre (IDRC), was a qualitative study of women refugees and migrant workers building peace in camps on the Thai/Burmese border. Anna's conflict resolution practice has focused on local healing and reconciliation efforts between Aboriginal and non-Aboriginal peoples on the issue of residential schools. Click here to hear an interview with Anna Snyder. 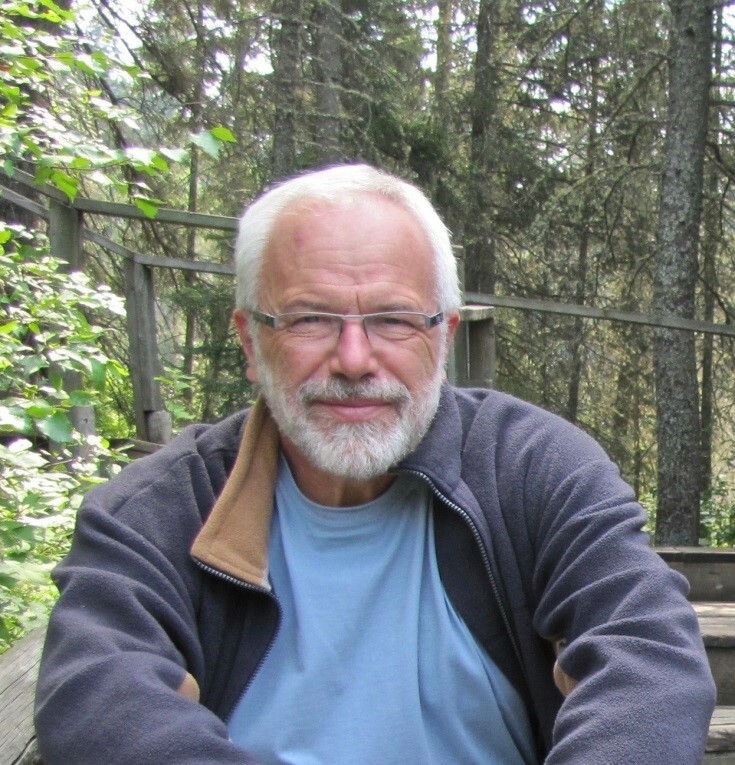 Barry Stuart, currently a partner in CSE Group, is internationally known for his work as the first Canadian judge to incorporate circle-sentencing processes into part of the formal justice process with Aboriginal communities in the Yukon. Over the last 40 years he has worked as a judge, trainer, mediator, negotiator, professor, and consultant in Canada, the US and internationally. His principal interest is in developing constructive ways to engage the energy in conflict to generate sustainable outcomes and effective relationships. As a law professor he has taught at several universities, and led numerous courses on negotiation and Participant Driven Collaboration. He is the author of numerous books and articles including Peacemaking Circles: From Crime to Community, co-authored with Kay Pranis and Mark Wedge. Barry Stuart’s work as a has been recognized and honoured across Canada and around the world. Click here to hear a recent interview with Barry Stuart on CBC's The Current with Anna Maria Tremonti. 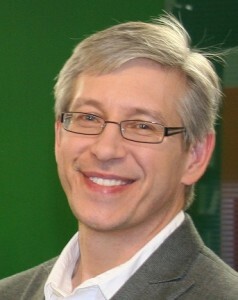 Mark Burch is an author, educator, and group facilitator. He has practiced simple living since the 1960s, and since 1995 has offered workshops and courses on voluntary simplicity. 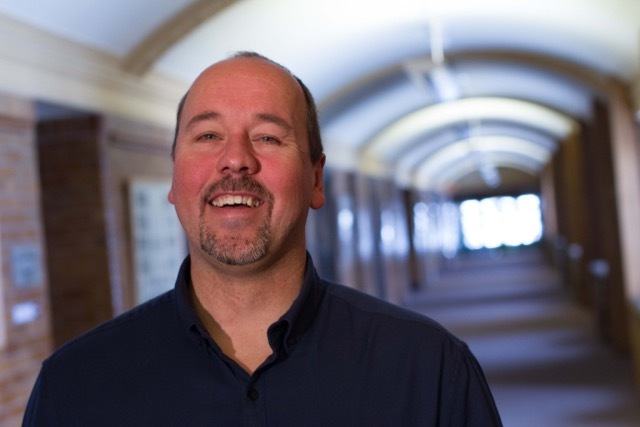 He is a lecturer at The University of Winnipeg, former Director of the Campus Sustainability Office at the University of Winnipeg, and Co-Director of the Simplicity Practice and Resource Centre. He has been a featured guest on CBC-TV Man Alive, and What on Earth?, CBC Radio Ideas, Vision TV’s The Simple Way, and was a regular radio columnist on Discovering Simplicity for CBC-Winnipeg. Mark has written four books on voluntary simplicity, the most recent of which is, De-junking: A Tool for Clutterbusting. David Dyck has been working and studying in the field of conflict resolution for more than 20 years. He developed many of the training courses offered through Resolution Skills Centre’s Certificate Program. His current focus is on mediating workplace conflicts, personal coaching, and designing and leading training courses in the private, public, and community-based sectors. He holds Bachelor of Arts and Master of Arts degrees in Conflict Resolution Studies and a Diploma in Mediation Skills. George Lakey is Visiting Professor and Research Fellow at Swarthmore College and author of eight books on peace and social change, including his most recent book, Facilitating Group Learning: Strategies for Success with Adult Learners. First arrested in a civil rights demonstration, he has been an activist in a number of movements. He has led over 1500 workshops on five continents, including within the Canadian labour movement. He founded Training for Change and directed it for fifteen years. Michelle LeBaron teaches at the University of British Columbia (UBC) law faculty and is Director of the UBC Program on Dispute Resolution. Prior to coming to UBC she spent twelve years teaching at the Institute for Conflict Analysis and Resolution and the Women's Studies program at George Mason University in Virginia. 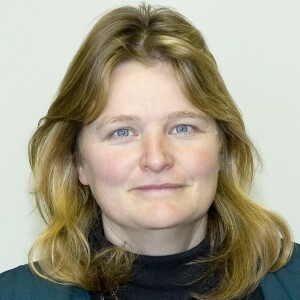 From 1990-1993, she directed the Multiculturalism and Dispute Resolution Project at the University of Victoria. Michelle LeBaron has lectured and consulted around the world on cross-cultural conflict resolution, and has practiced as a family law and commercial mediator. Her most recent book is Conflict Across Cultures,with co-editor Venashri Pillay of ACCORD (South Africa) and colleagues from three other world regions. She continues to pursue research into creativity, the arts, and multiple ways of knowing as resources for bridging cultural differences. Rev. Stan McKay, is an Aboriginal educator and was Canada's first Aboriginal Moderator of the United Church of Canada (UCC), Canada's largest Protestant denomination. He sought reconciliation and understanding both within and outside the UCC, and between Aboriginal and non-Aboriginal peoples. Stan comes from Fisher River, Manitoba, a Cree First Nation community. He is the former Director of the Dr. Jessie Saulteaux Centre. He received a career National Aboriginal Achievement Award in 1997. Kay Pranis conducts training on peacemaking circles and restorative justice across the US and Canada. She also facilitates peacemaking circles for workplace, faith community and family conflicts as well as for community building. Kay has helped develop the use of peacemaking circles in the justice system, social services, education, faith communities, neighborhoods and families. She is the author of The Little Book of Circle Processes and co-author of Peacemaking Circles: From Crime to Community and Doing Democracy – Using Circles for Public Planning. She served as the Restorative Justice Planner for the Minnesota Department of Corrections for nine years. John Bell, a native of Kilmarnock, lives in Glasgow where he studied Arts and Theology. After spells of voluntary work in London and Amsterdam, and engagements in student politics, he was ordained by the Church of Scotland. He is a hymn writer, author and occasional broadcaster on national radio and television, but retains a primary passion for congregational song. He and the work he shares with his colleagues has been honored by the Royal School of Church Music, the Hymn Society in the U.S. & Canada, and the University of Glasgow, the first and second of which bestowed on him the status of Fellowship, the third a Doctorate. Cathy C. Campbell, rector of St. Matthew’s Anglican Church in the inner city of Winnipeg, is actively involved in the challenges of living out the food and justice dimensions of the Gospel. She is author of Stations of the Banquet: Faith Foundations for Food Justice (2003) and Faith as if Food Matters (2008). Prior to her ordination she taught at Cornell University and the University of Toronto and held volunteer positions in a variety of non-governmental organizations. She is delighted to have finally returned to her roots on the prairies. 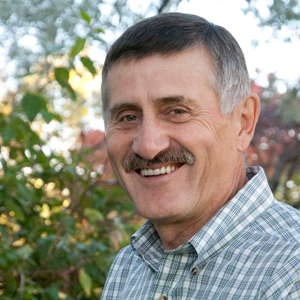 Martin Entz is a professor of “natural systems agriculture” in the University of Manitoba’s faculty of agricultural and food sciences. Martin has spent 20 years developing food production systems based on nature’s own template. Projects include no-tillage (conservation) farming, organic farming, integration of animals and crops for small-holder production, and development of perennial grains. Martin heads the Glenlea study – Canada’s oldest organic cropping plots. 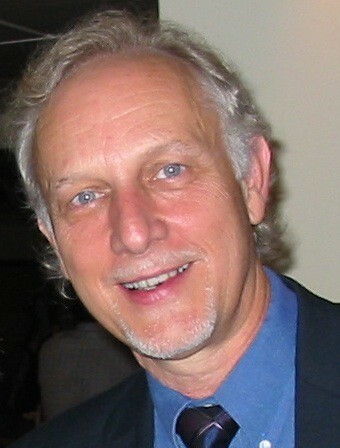 Martin’s international work includes a “pesticides reduction” project in cooperation with universities in Central America. Martin enjoys rural extension and interaction with farmers. Martin and his family operate a small farm near Libau, Manitoba. Irma Fast Dueck was born and grew up in Winnipeg, Manitoba. She was a university chaplain and pastor before beginning her teaching career at Canadian Mennonite Bible College (a predecessor college of Canadian Mennonite University) in 1991. She received her Doctorate of Theology from Victoria University at the University of Toronto, a Masters of Divinity from the University of Winnipeg and a Bachelor of Arts from the University of Waterloo. Irma is frequently on the road, speaking and leading workshops on a variety of themes and is currently completing a book manuscript on Mennonite worship and ethics. Marc Gopin is the James H. Laue Professor of Religion, Diplomacy and Conflict Resolution, and the Director of the Center on Religion, Diplomacy and Conflict Resolution at George Mason University’s Institute for Conflict Analysis and Resolution. Gopin has trained thousands of people worldwide in peacemaking strategies for complex conflicts in which religion and culture play a role. Gopin conducts research on values dilemmas as they apply to international problems of globalization, clash of cultures, development, social justice and conflict and he has engaged in back channel diplomacy with religious, political and military figures on both sides of conflicts. Click here to see a video of Marc Gopin. Kenton Lobe is a teacher/practitioner at heart with an interdisciplinary Master’s degree in Natural Resource Management and until recently balanced his teaching in International Development Studies at Canadian Mennonite University with work at the Canadian Foodgrains Bank in Winnipeg as Policy Advisor. In particular his work focused on Canadian public policies surrounding issues of agricultural trade, the human right to food, and development assistance for small-scale farmers in the global South. On the practical side, Kenton was one of the driving forces behind the Manitoba Food Charter and a founding member of Canadian Mennonite University’s community garden. He has recently become a farmer within a community shared agriculture operation. Howard Zehr joined the graduate Center for Justice and Peacebuilding (CJP) at Eastern Mennonite University in 1996 as Professor of Restorative Justice and was the co-director there from 2002 – 2007. Prior to this he served for 19 years as director of the Mennonite Central Committee U.S. Office on Crime and Justice. Dr. Zehr’s book, Changing Lenses: A New Focus for Crime and Justice, has been a foundational work in the growing “restorative justice” movement. He lectures and consults internationally on restorative justice and victim offender conferencing, which he helped pioneer. He is author of 8 books in the field and has received numerous international awards for his work. Click here to see a video of Howard Zehr. Ray VanderZaag was raised on a potato farm in south-central Ontario. After graduating from Calvin College (B.Sc. – Biology) and Michigan State University (M.Sc. – Crop and Soil Sciences), he went to work in Haiti with the Christian Reformed World Relief Committee. During the first five years in Haiti, he worked in a rural community development program, supporting local staff and community groups involved in agriculture, reforestation, cooperative, literacy, water, and leadership activities. The next three years he worked in Port-au-Prince giving overall leadership to three CRWRC programs in Haiti. Returning to Canada, he earned an M.A. in International Affairs (Development Studies) and a Ph.D. (Geography) at Carleton University. His dissertation involved 11 months of field research on NGO/local community relations in rural Haiti. 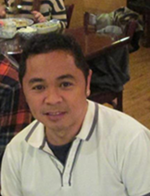 Ray then worked for a year for the Canadian International Development Agency as a project officer in the Southeast Asia Regional Program before joining CMU’s faculty. Ray also teaches one course per year in the IDS program at Menno Simons College, Canadian Mennonite University’s campus at the University of Winnipeg. Piet Meiring was born in Johannesburg, South Africa in 1941. He studied at the University of Pretoria, South Africa as well as at Free University, Amsterdam, The Netherlands. He was ordained to the ministry of the Dutch Reformed Church in 1968 and served in two congregations in Pretoria. His academic career includes the chair in Missiology and Church History, University of the North (Turfloop), a part-time lectureship at the University of South Africa, and, since 1988, the chair in Science of Religion and Science of Mission at the Theological Faculty, University of Pretoria. Professor Meiring was invited to join the South African Truth and Reconciliation Commission (1996-1998), where he was primarily involved in Reparation and Rehabilitation issues, as well as co-coordinating the TRC Faith Community Hearings. Janet Schmidt has been working in the field of conflict resolution and mediation since 1986. She has a Masters of Education and a Diploma in Mediation Skills. She worked at Mediation Services in Winnipeg and gave leadership to the development of a 22-day Certificate Program. From 1996 to 1999 Janet developed a nine-month Peace Building and Conflict Transformation program in a pan-African Institution in Kitwe, Zambia. Upon her return from Africa, she co-founded Facilitated Solutions, where she is currently managing partner. Janet has taught courses in conflict resolution at the University of Manitoba, the University of Winnipeg, and Canadian Mennonite University. Janet has written numerous articles and is currently co-authoring a book outlining the distinctive approach that Facilitated Solutions undertakes in workplace mediation.